The odor of the tonka bean is peculiar and ascribed to a crystallized, active ingredient known as coumarin, having a pleasant smell (resembling vanilla), with a bitter taste. Besides its fragrant properties, coumarin is also used as a fixing essence and widely used for this purpose in perfumery. Moreover, it serves as an ingredient in soap-making. This extract has been widely used for flavoring pipe tobacco and alcoholic beverages (whiskey and vermouth). Demand declined after regulatory bodies in the US and Europe imposed restrictions on its oral use due to coumarin’s anticoagulant properties. Therefore, the marketing of seed oil as a food or dietary supplement is prohibited. The extract from the bark of tonka bean is popularly used as an antispasmodic and general tonic. At high dose, it also contains properties that stimulate sweat and restore menstrual flow. In popular medicine, the oil has been widely used to treat sinusitis and pneumonia as well as in the preparation of tobacco and is still used for a headache, rheumatism, ulcerations of the mouth, earache and as a tonic for the scalp. The tonka bean is a large tree species that grows up to 30 m high into the upper canopy of jungles throughout the Amazon region. Its wood and seeds obtain a high commercial value. The fruit of the tonka bean comprises 80% woody bark and 20% kernel, which in turn contains up to 43,60% of a yellow, aromatic oil. Twelve kg of seeds yield around one liter of oil. 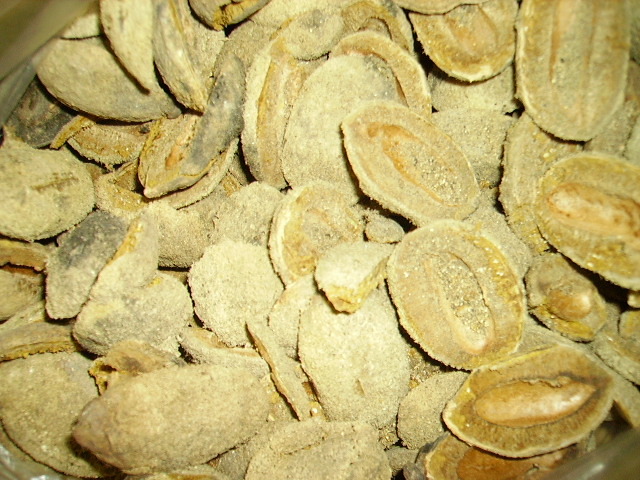 The dried seeds should be treated with alcohol, covered and then dried slowly for a few days. After this, the seeds are covered with crystallized coumarin (the characteristic chemical compound of the tonka bean has a pronounced sweet scent), after which the seeds can be stored up to a year. As seeds are quite expensive, it is not viable to use them in oil production, except in the preparation of aromatics. With the discovery of synthetic coumarin, demand and price for this product have declined considerably. Research conducted at INPA’s Duke Forest Reserve showed the Leguminosae tonka bean to grow rapidly in full sun as well as in half sun. It is regarded as an excellent tree for reforestation due to rapid germination and fruiting. 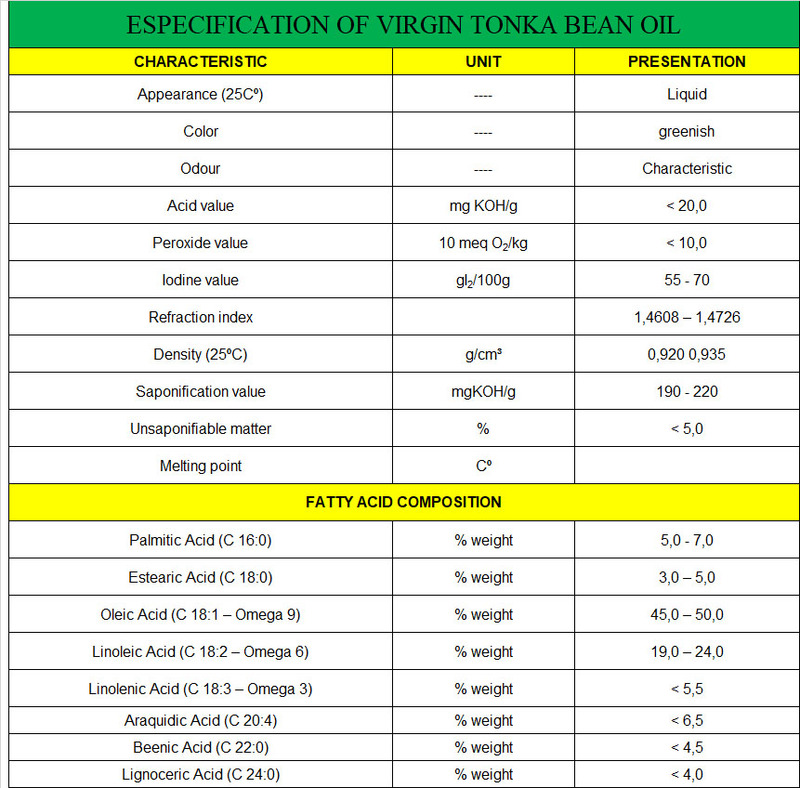 If coumarin and its oil find new markets, tonka bean would be a good choice in reforestation and agroforestry systems. BESSA, D.T.O. ; MENDONÇA, M.S. ; ARAÚJO, M.G.P. Morfo-anatomia de sementes de Dipteryx odorata (Aubl.) Will. (Fabaceae) como contribuição ao estudo farmacognóstico de plantas da região amazônica. Acta Amazônica, v.31, n.3, p.357-364, 2001 . LORENZI, H. Árvores brasileiras: manual de identificação e cultivo de plantas árboreas nativas do Brasil. Nova Odessa: Plantarum, 1992. 352p. .
ZOGHBI, M. das G.B. ; ANDRADE, E.H. de; MAIA, J.G.S. (2000): Aroma de flores da Amazônia. Belém: Museu Paraense Emílio Goeldi,pp. 240. .